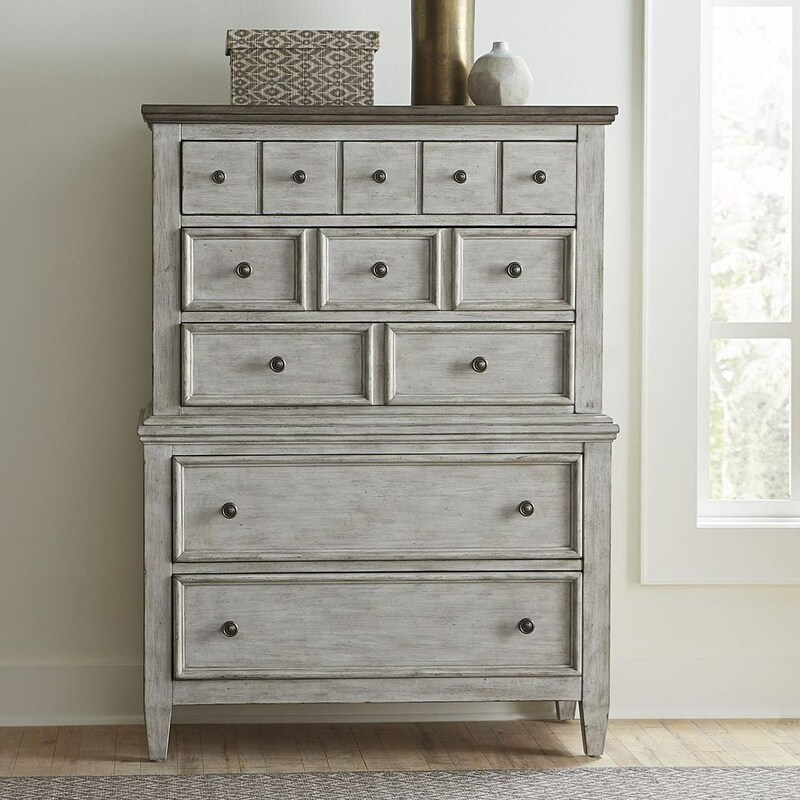 Bring some tasteful style to your storage space with this transitional chest. Thanks to its two-toned finish, this piece has a warm, cottage-chic design that's only further enhanced by its round metal hardware, tapered feet, and wood framed drawer fronts. With such an effortlessly appealing look, it's sure to fit right into your decor. The Heartland Transitional Two-Toned 5 Drawer Chest by Liberty Furniture at Zak's Home in the Tri-Cities, Johnson City, Tennessee area. Product availability may vary. Contact us for the most current availability on this product. The Heartland collection is a great option if you are looking for Transitional Cottage furniture in the Tri-Cities, Johnson City, Tennessee area. Browse other items in the Heartland collection from Zak's Home in the Tri-Cities, Johnson City, Tennessee area.